You can modify your search criteria and try again. Otherwise you can use our Auto Finder to be notified of new matches by email or call our sales team at (855) 523-1515 for help locating the perfect fit at! 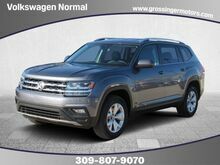 2019 Volkswagen Atlas SE 4D Sport Utility 3.6L V6 AWD 4Motion 17/23 City/Highway MPGSince 1928, drivers have trusted, family owned and operated, Grossinger for all their car buying needs. We always offer our owners complimentary car washes, pick up and drop off of your vehicle (within local service area) for service and much more. Plus Grossinger will even deliver your new vehicle to your home or office. That's why for 90 years, customers say for great service, selection and always a low price, "You go to Grossinger." $2,094 off MSRP! 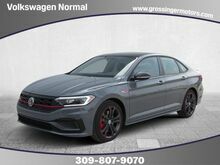 Pure Gray 2019 Volkswagen Jetta GLI 2.0T 35th Anniversary Edition 4D Sedan 2.0L TSI FWD 25/32 City/Highway MPGSince 1928, drivers have trusted, family owned and operated, Grossinger for all their car buying needs. We always offer our owners complimentary car washes, pick up and drop off of your vehicle (within local service area) for service and much more. Plus Grossinger will even deliver your new vehicle to your home or office. That's why for 90 years, customers say for great service, selection and always a low price, "You go to Grossinger." $2,062 off MSRP! Pure Gray w/Black Roof 2019 Volkswagen Jetta GLI 2.0T 35th Anniversary Edition 4D Sedan 2.0L TSI FWD 25/32 City/Highway MPGSince 1928, drivers have trusted, family owned and operated, Grossinger for all their car buying needs. We always offer our owners complimentary car washes, pick up and drop off of your vehicle (within local service area) for service and much more. Plus Grossinger will even deliver your new vehicle to your home or office. That's why for 90 years, customers say for great service, selection and always a low price, "You go to Grossinger." $1,796 off MSRP! Priced below KBB Fair Purchase Price! Platinum Grey 2019 Volkswagen Beetle 2.0T S 2D Hatchback 2.0L TSI FWD Black Cloth. 26/33 City/Highway MPGSince 1928, drivers have trusted, family owned and operated, Grossinger for all their car buying needs. We always offer our owners complimentary car washes, pick up and drop off of your vehicle (within local service area) for service and much more. Plus Grossinger will even deliver your new vehicle to your home or office. That's why for 90 years, customers say for great service, selection and always a low price, "You go to Grossinger."